Corporate driver trainers from NRMA recently delivered a workshop to help the groundskeepers at University of Sydney navigate a unique set of circumstances. The main campus at University of Sydney has around 50,000 pedestrians daily, including students, tourists and staff. Grounds staff look after all the landscapes at the university and operate a number of different vehicles, including light commercial, passenger and electric. Given that 97% of the traffic on the campus is pedestrian, it's important for grounds staff to be vigilant when driving these vehicles so they can anticipate not only other drivers’ mistakes but also pedestrians’ mistakes. Pedestrians can be distracted by headphones and mobile phones. The speed limit isn’t always enforced, so while the limit is normally 25 km with pedestrian shared zones typically 10 km, visitors can potentially drive up to 40 km. The NRMA trainers focused on teaching the grounds staff how they can have the ability to bring distractions under their control by following low-risk driving strategies and remaining present. Low-risk driving strategies — designed to help the driver avoid collisions by teaching them to become more aware of potential hazards on the road and adjust to those hazards through speed. Driving to the conditions — a low-risk driver maintains what is called a ‘crash avoidance space’ around the vehicle at all times. The space is managed by the driver adjusting the vehicle’s speed and position on the road. Understanding internal and external distractions — you can’t drive safely unless the task of driving has your full attention. Distractions — such as mobile phones, loose objects like maps and paperwork or even interactions with other passengers — could increase the risk of an incident. Anything that takes the driver’s eyes away from the road for more than a glance should always be avoided. It’s important to note that not all distractions are physical, sometimes emotions can play a role as well. The NRMA corporate driver training was completed by 20 of the grounds staff to help ensure University of Sydney maintains its excellent safety record. 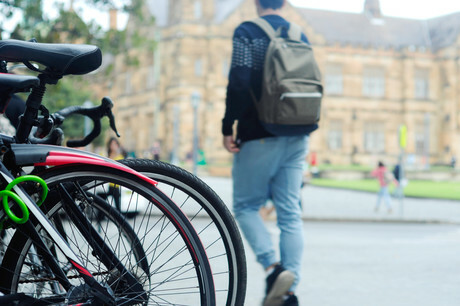 Senior Grounds Officer Darin Wills, who has worked at University of Sydney for eight years, said the course has definitely made him more aware of the multitude of risks faced on a campus with thousands of pedestrians every day.